Would you rather be stuck at home washing, ironing and folding your clothes, or at the beach? Well, if it’s the beach you’d prefer, then The Shirt Butler can help! 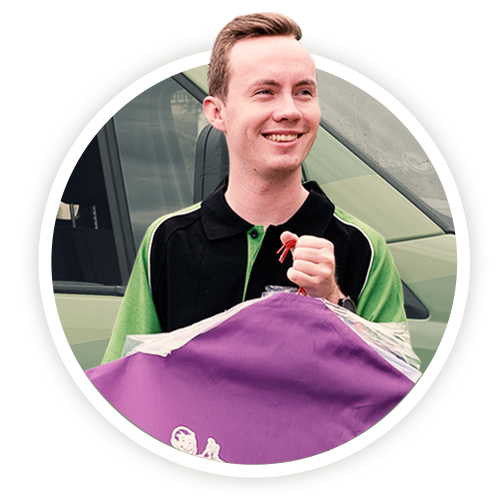 We provide dry cleaning services in Castle Cove with free pickup and delivery – and a 48 hour turnaround time! with the click of a button, you can book The Shirt Butler to collect, clean and deliver your fresh laundry to your doorstep. So instead of wasting time on chores like laundry, book The Shirt Butler online today and get your free time back! The Shirt Butler offers a range of laundry services. Whilst dry cleaning business shirts around Castle Cove keeps us busy, we also provide a wash and fold service, a wash and iron service, and just ironing. You could say that The Shirt Butler is your one-stop-shop for all things laundry – so stop spending your hard earned free time doing the washing and book an online pickup today. A common question we get: Does The Shirt Butler serve residents in Coral Cove? We sure do! If you have any questions about The Shirt Butler then view our FAQs to find answers to all of our most common questions.